Debra Erickson serves as Marketing Director: Communications and Interpretation for San Diego Zoo Global and Executive Director of Atlantis Blue Project Foundation. She has been in the conservation, interpretation, marketing, communications, and education fields for 30 years and has worked for the San Diego Zoo, the San Diego Zoo Safari Park, Atlantis, Paradise Island, SeaWorld San Diego, SeaWorld Orlando, S.E.A. Aquarium, and Dolphin Island. Debra has held a wide variety of positions in the education and interpretation field including Education Director at San Diego Zoo Safari Park, SeaWorld of Orlando, and Atlantis, Paradise Island. She has created interpretive plans for a wide variety of exhibits including Manatees: The Last Generation, Wild Arctic, and Tiger Trail which have all won the American Association of Zoos and Aquariums Top Exhibit Honors award. 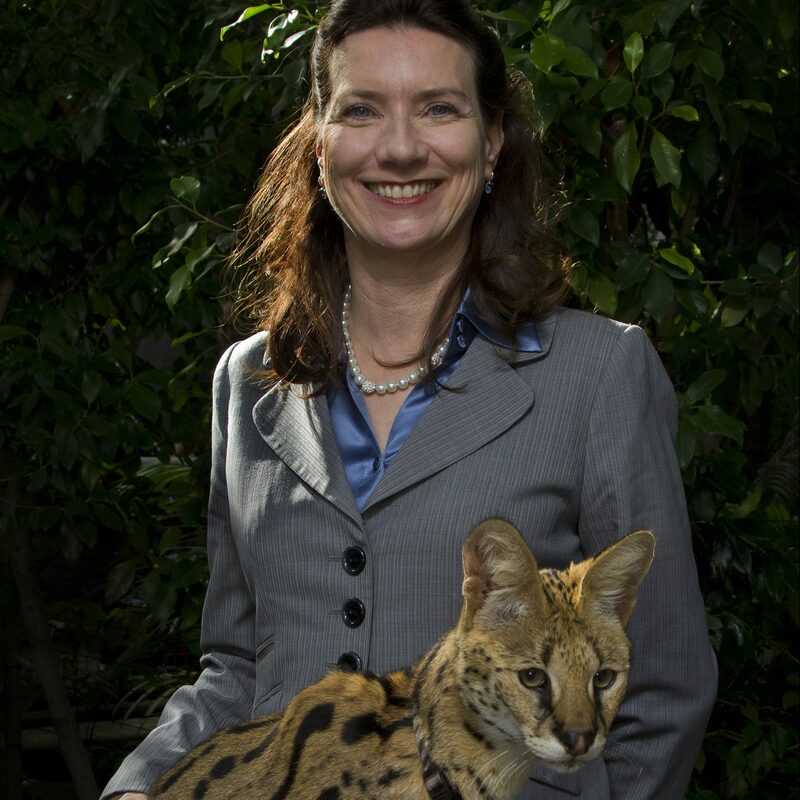 Currently she is leading the effort to provide San Diego Zoo Kids, a 24-hour, commercial-free television channel, to 400 children’s hospitals and Ronald McDonald Houses in the U.S.
Having worked in over 25 countries during her career and seeing the challenges that many developing countries face, Debra has a keen commitment to conservation. She worked as Executive Director and Conservation Director for Orangutan Foundation International and was responsible for developing and implementing the conservation plan for Tanjung Puting National Park. Debra continues her conservation work through the Atlantis Blue Project Foundation where she funds marine conservation projects and mentors conservationists in the field. Debra received her B.A. in Biology from Scripps College and her M.A. in Educational Technology from San Diego State University.